This is #9 of 10 Things to Expect when downsizing! Do you need the tax receipt? If you want to claim the donation on your taxes, you will want to donate to a 501-c3 organization that is a non-profit. When donating to a not for profit agency, the IRS will allow you to assign your own value to the items. You may need to confirm that the agency you have chosen is indeed tax exempt. You can check this on the IRS Website. Do you need the items picked up? Some organizations have a pick-up service, but not all. If pick up is important, remember to call well ahead of your deadline to make arrangements with a non-profit that also has a pick-up service. It is a good idea to do your research and know who you are giving to. There are several agencies that have great names but are not actually non-profit agencies. For instance, GoodWill Industries is a highly visible organization but Huffington Post reports that their CEOs make outlandish salaries and they are not required to pay employees minimum wage. See article here. There are watchdog groups that rank non profit agencies from best to worse. Some of these sights charge for information so be careful. A recent article in Consumer Reports might be helpful. 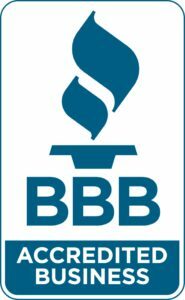 For information about some common not for profit agencies from Consumer Reports. See full article here. 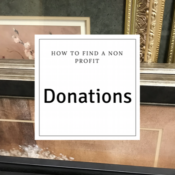 To find reputable non profit agencies that are accepting donations in our area, visit The Huntsville Madison County Chamber of Commerce website.You can also google” Donation sites that pick up” and get a list there.